DMRC Recruitment 2019: Delhi Metro Rail Corporation Ltd, / www.delhimetrorail.com is conducting recruitment processes to fill 1 vacancy. As of now, there is one recruitment drive going on for GM (Operations Planning) Post. DMRC Recruitment 2019 - Job notification for GM (Operations Planning) Post in DMRC, Delhi on Deputation Basis. Applications are invited by Delhi Metro Rail Corporation Ltd, on or before 16 May 2019 for 1 vacancy. DMRC Recruitment 2019 - Job notification for 11 Maintainer, Supervisor & Other Posts in DMRC, Delhi. Applications are invited by Delhi Metro Rail Corporation Ltd, on or before 05 Apr 2019 for 11 vacancies. DMRC Recruitment 2019 - Job notification for Technical Assistant Post in DMRC, New Delhi on Deputation Basis. Applications are invited by Delhi Metro Rail Corporation Ltd, on or before 10 Apr 2019 for 1 vacancy. DMRC Recruitment 2019 - Job notification for Court Clerk Post in DMRC, Delhi. Applications are invited by Delhi Metro Rail Corporation Ltd, on or before 15 Apr 2019 for 1 vacancy. DMRC Recruitment 2019 - Job notification for GM (Operations Planning) Post in DMRC, Delhi on Deputation Basis. 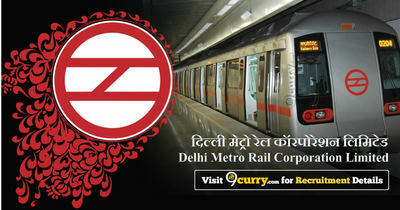 Applications are invited by Delhi Metro Rail Corporation Ltd, on or before 30 days from the date of issue for 1 vacancy. DMRC Recruitment 2019 - Job notification for Dy. General Manager (Hindi) Post in DMRC, Delhi on Direct / Deputation Basis. Applications are invited by Delhi Metro Rail Corporation Ltd, on or before 08 Mar 2019 for 1 vacancy. DMRC Recruitment 2019 - Job notification for Asstt. Manager (Finance) Post in DMRC, Maharashtra on Direct Recruitment. Applications are invited by Delhi Metro Rail Corporation Ltd, on or before 08 Mar 2019 for 1 vacancy. DMRC Recruitment 2019 - Job notification for Sr Section Engineer Posts in DMRC, Delhi. Applications are invited by Delhi Metro Rail Corporation Ltd, on or before 08 Mar 2019 for 8 vacancies. DMRC Recruitment 2019 - Job notification for General Manager (Electrical/ Rolling Stock) Post in DMRC, Delhi on Deputation Basis. Applications are invited by Delhi Metro Rail Corporation Ltd, on or before 30 days from the date of issue for 4 vacancies. DMRC Recruitment 2019 - Job notification for General Manager/Signal & Telecom Post in DMRC, Delhi on Deputation Basis. Applications are invited by Delhi Metro Rail Corporation Ltd, on or before 02 Mar 2019 for 1 vacancy.